The metallic silver Rondo is a stylish self-watering contemporary planter that is suitable for both indoor and outdoor use. 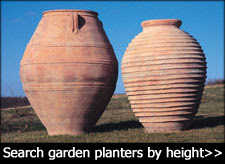 It is an exceptionally high quality planter that is lightweight, durable, UV and frost resistant. 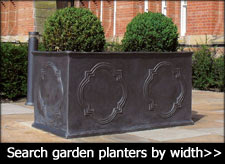 Rondo planters are excellent for framing entrances and dividing spaces. 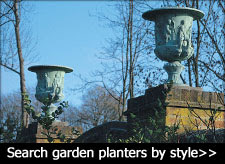 Use at home or in the office to display your favourite indoor plants or plant up outside with annuals, topiary or specimen trees to achieve a look capable of enhancing even the grandest of designs. 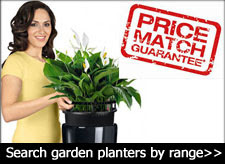 Plant up indoors with deep purple African violets for a stunning display. For outdoor use pair the metalic silver Rondo with a scented lavender - a dwarf variety of 'Munstead' works well.